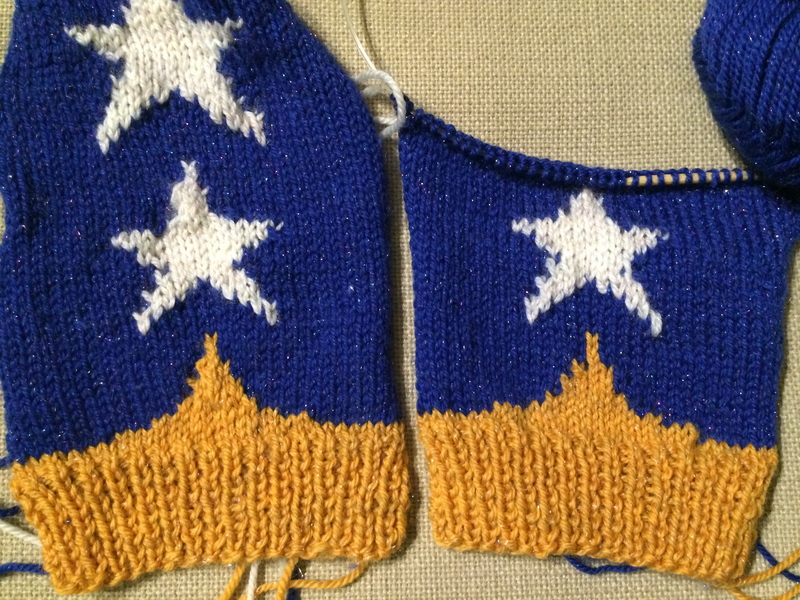 I was a little scared to compare with Sleeve #1, because my colorwork has definitely relaxed, but they look pretty even in length, thank goodness. 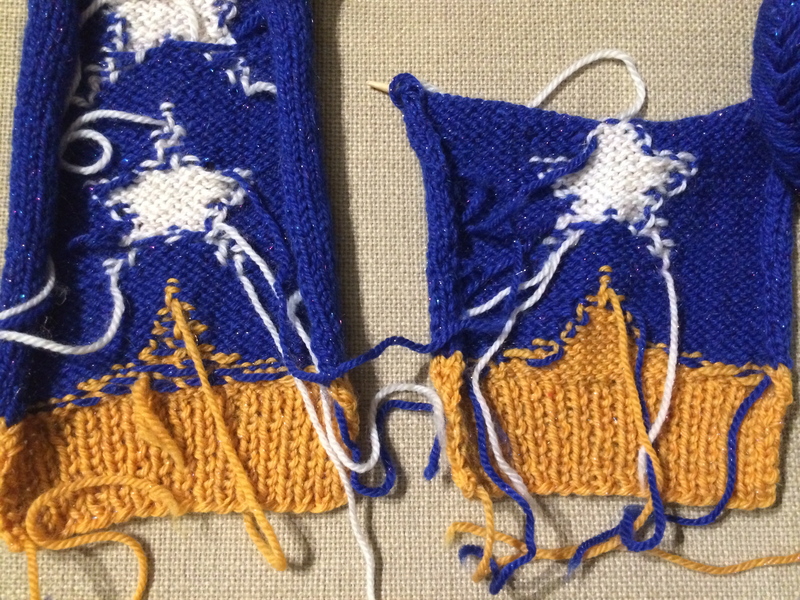 Yes, it means more ends to weave in, but I find that my tension is better when I use bobbins for intarsia instead of trying to carry the yarn too far. I’m happy with my progress on Sleeve #2. I wasn’t particularly looking forward to knitting it, which is why I dove in right away and gave it some effort, and I’m glad I did. 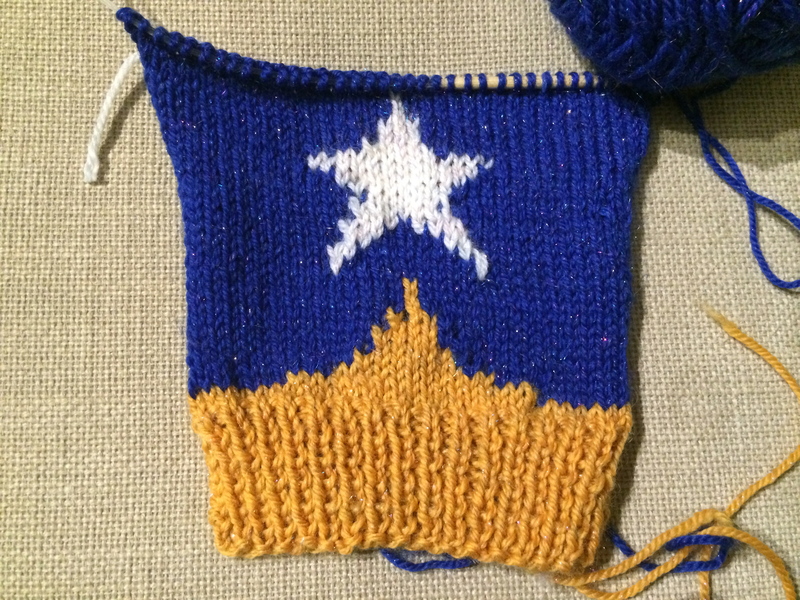 The thing about colorwork is that it’s rather inspiring seeing the shape/picture appear, that one may knit more than intended in a sitting, in order to finish a particular section. Yep, that’s exactly why I have a whole star to show you tonight, instead of just some gold/blue bits.